The weather is warming up, making this the perfect time of year to enjoy the underwater scenery. 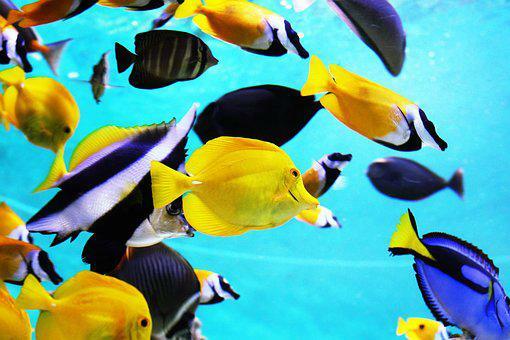 A snorkeling getaway typically means warm clear water, coral reefs and lots of bright tropical fish. To help plan a quick snorkeling vacation, we’ve put together a list 5 of America’s best snorkel spots. Santa Catalina Island is roughly 26 miles off the coast of the Southern California mainland. The island offers some of the best snorkeling in California, and possibly the world. Visitors can take guided, night or boat snorkeling tours. Two of the most popular snorkeling locations are Lover’s Cove and Casino Point marine preserves. 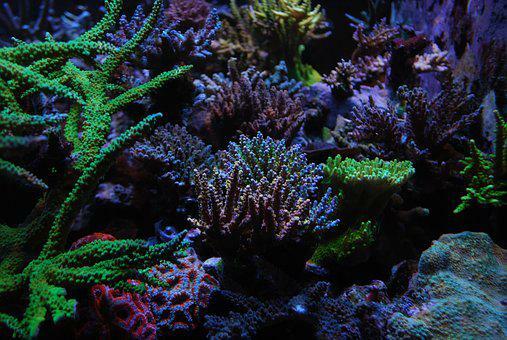 In both locations, you’ll see dense kelp forests and rocky reefs that house abundant numbers and a wide variety of colorful cool-water fish in their beautiful underwater habitats. Visibility is rarely a problem, but the water can get cool, so summer is best time to visit. Crystal River is on Florida’s Gulf Coast, about two hours west of Orlando. The biggest attraction here is swimming with manatees. 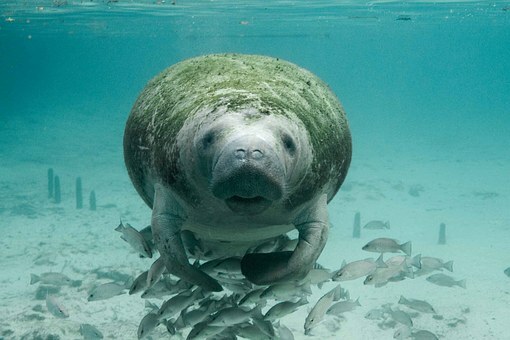 Crystal River is home to the world’s largest population of manatees during the winter season. The population shrinks during the summer season. Private 3-hour manatee tours that allow visitors to interact with the manatees in their natural habitat. (Note: Manatees are a protected species, so some etiquette is required.) Birds, fish, and other wildlife can be viewed on the boat ride to and from the manatee spot. No matter where you go in Florida, chances are you will be near a good snorkeling location. With that being said, the Florida Keys are a special location for snorkelers. The Keys are the southernmost portion of the continental US. The weather is almost warm – even tropical. This makes the Florida Keys the most consistently pleasurable winter snorkeling experience in America. Here are 2 of the Keys best-snorkeling sites. A must-see snorkeling location in Florida is John Pennekamp Coral Reef State Park in Key Largo. The state park was established as the first undersea park in the United States. The park extends 3 miles into the Atlantic Ocean and is approximately 25 miles in length. Combined with the adjacent Florida Keys National Marine Sanctuary it covers approximately 178 nautical square miles of coral reefs, seagrass beds, and mangrove swamps. Together these areas were established to protect and preserve a portion of the only living coral reef in the continental United States. Marine life draws visitors to the park from around the world. The park has been added to the National Register of Historic Places. Seventy miles west of Key West sits Dry Tortugas National Park. Unlike other members of the Florida Key system, it is unreachable by auto. Less than 1% of the 100 square mile park is dry ground. The world-renowned clear waters of Dry Tortugas are home to a much greater abundance of coral formations than anywhere else in the Florida Keys. Along with the coral formations, you will also find a variety of colorful reef fish including parrot fish, angelfish, triggerfish, damselfish and others. La Jolla, a neighborhood in San Diego, is Southern California’s top choice for snorkeling. At La Jolla, you can venture out in the kelp beds and see some truly unique Pacific marine life. 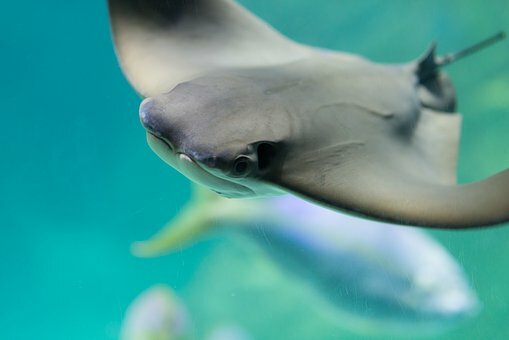 If you’ve ever dreamed about swimming with sharks, La Jolla’s is the place. Its main attraction is the leopard sharks that migrate to the area from May through October. Many of the sharks are pregnant females moving to the warm, shallow water to speed up incubation of their young. Snorkelers will also have the chance to see multiple ray species and bottom feeder fish. The entire Hawaiian Island chain contains incredible snorkeling spots. But the Big Island possesses more square footage than all the other islands combined and for this reason alone it has the most to offer. One of the best snorkeling spots is the underwater state park at Kealakekua Bay – blessed with spectacular technicolor coral and colorful fish. 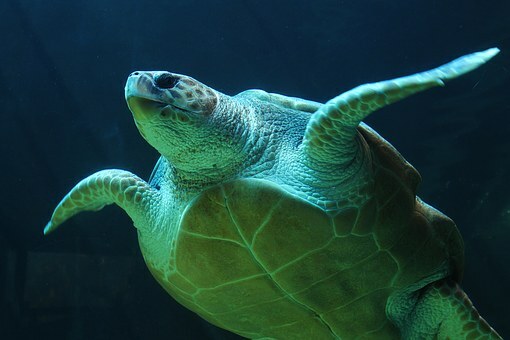 It’s a great place to see dolphins, turtles and more. Nearby the crystal waters of Honaunau Bay is a great place to explore coral gardens as you snorkel alongside dolphins and colorful tropical fish. Copyright © 2019 Outdoor Junkie. All rights reserved.